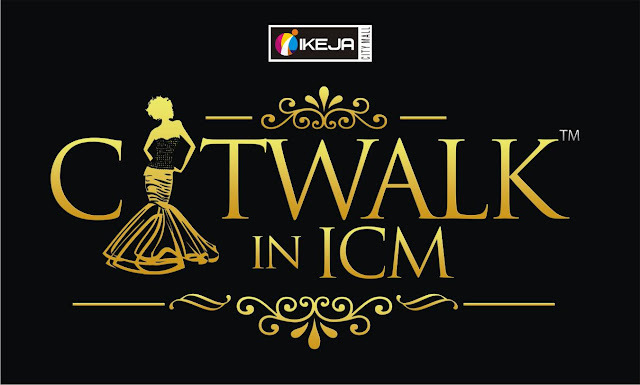 The 3rd Fashion Show dubbed "Catwalk in ICM" in Ikeja City Mall was a huge success, thanks to everyone that supported the project from the onset. This goes out to all tenants that made available collections that lit the stage, our media partners, guests and of course the ICM shoppers. Norman Sander; ICM General Manager gives the welcome speech. Models having a haircut at Bruno's Place. In Charge of Male Model's Grooming. Casabella on the runway with their wigs. They supplied wigs for all the female Models. Something about this picture that portrays the 70's don't you think? And there were other side attractions as well. From live performances from recording Artistes like Di'ja. Our guests left the event with goodie bags from our sponsors including Guerlain, Essenza, Casabella, black|Up and others. Other tenants in ICM that did not take the runway ensured our guests had the best to eat and drink. Rhapsody's, Shoprite, Bheerhugz Cafe and Shawarma & Co were all on point to make it the complete experience. Here are some more pictures. Enjoy! Awww... The crowd loved every moment of this performance! Everyone had fun... Everyone literally. A Hostess flaunting her outfit. Some Luxury beauty products included in the goodie bags. Did someone say ice-cream? Yes! Coldstone in ICM gave our guests a treat. Pictures don't lie. One of our guests was taking a picture of Bheerhugz Cafe's Signature Cocktails. Bheerhugz Cafe share their exotic cocktails during the show. DJ Skillz taking a quick one with one of the pioneers of his craft. Jozie's Shoki skills on fleek! Lol! The Legendary DJ Jimmy Jatt arrives with Daughter. The amiable Di'Ja serenades the crowd with a couple of hits! Ehiz of MTV Base shares a joke with ICM's Marketing Manager Eniola Ositelu. Blame it on the ... Never mind. And just when you thought it was all over, the models started their own runway. It was everything! From hilarious to jaw dropping! This was certainly not part of the script. Just look behind them. Their counterparts were equally as shocked as the guests. And yea... they aren't finished with the human helicopter thing. Winners of the L'homme Ideal & La Petite Robe Noire Award for Model Category. OAP Oscar Oyinsan, Winner L'homme Ideal Award for Male Guest Category; Courtesy Guerlain. Winner La Petite Robe Noire Awards Female Guest Category; Courtsey Guerlain. Till the next edition of Catwalk in ICM next year, do remember that ICM has something for everyone. Whether you crave for the top fashion brands or trendy affordable apparels, ICM should be the destination. There's so much more you can explore in ICM, the your choice destination for shopping, entertainment and leisure.